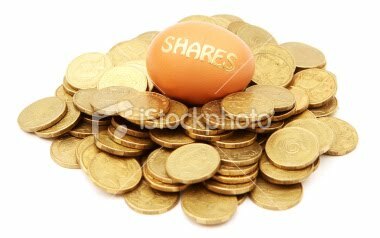 Often people misunderstand small-cap stocks for penny stocks, which is not true. It is actually derived from a company’s market capitalisation, which is arrived at, by multiplying current market price with the number of shares outstanding. So, what is the meaning of “small” for terming a stock as small-cap? The categorisation actually varies with the market condition and in the current scenario it could be anything less than Rs 1,000 crore. There is nothing more rewarding than to buy a small-cap stock just before its take-off. Usually, small-caps grow at a breakneck speed, which may not be possible for large-caps. For example, take Infosys. It clocked three-digit growth in revenue and profits for several years, starting at base revenues of less than Rs 9.5 crore in 1992-93. In 2000-01, its top-line was Rs 1,950 crore. Stock made investors multi millionaire. But then is it that easy to make money by investing in small-caps. Well, certainly no. Investing in small-caps is not without risk and it requires a lot of analysis and patience. Let us discuss how to choose the correct one. How to explore Hidden Gems in Small Cap Stocks? The big question is how to find the hidden gems in small-cap stocks. There is a saying, “A fool and his money are soon parted.” Do not go by market rumors. Before you invest read about the company, know who are at the helm of affairs, their credentials and previous entrepreneurial achievements. It is better to select a stock based on its fundamental strength rather than technical indicators. Investment should be done keeping in mind long-term prospects. To quote another phrase, “Don’t invest for 10 minutes if not prepared to invest for 10 years”. Put money in the stock of an industry that you understand, where you see growth potential. Best example being the “dot com” boom during the beginning of millennium. Investors then had blindly parked their money without doing any due-diligence. The biggest concern with investing in small cap stocks is liquidity. Many a times, investors end up overweighing their portfolios with illiquid stocks. Here, it’s advisable to stay away from glitter stocks. These are stocks that have some attention grabbing activity like huge volumes, extreme movements in the price—up or down. If you are looking for the hidden gems, you need to know the things “beyond the obvious”. Companies that have superior investment return and are trading at a discount to their long term valuations are considered as good stocks. Stocks of those companies must be preferred which have a sound business record both in adverse and favorable market conditions. Decent performance over a full business cycle must be the benchmark while screening such stocks. While reading the financial statements, look thoroughly into the hidden assets in the balance sheet, besides the debt profile and the payment schedule. Typically, small-cap stocks with no debt should be fancied. May be a small debt can be helpful sometime, but then, it’s better to avoid stocks with a debt-to-equity ratio over 25% to 30%. It’s also important to identify near-term catalysts that can unlock value by driving higher earning growth. As part of core screening process, companies with low valuation should be measured on ratios of price-to-book, price-to earnings, price-to-cash flow and enterprise value to EBITDA. You can also rely on companies that pay dividends regularly. The payment of dividends is considered a tangible proof of a company generating excess cash flow. In fact, pay out of excess cash to shareholders also optimizes return on capital. When to sell and exit? Your philosophy of investment in small-cap stocks should ideally be to own future multi-baggers. At the same time, it’s always a good practice to outline your exit strategy. Your first signal to exit should be usually when the stock hits your target price. Second, if the financial performance does not match with the projected revenue growth, earnings growth margin etc. When there is a big difference in estimated and actual figure, there is also every reason to exit. Thirdly, you can opt out if there is a better opportunity with excellent risk to reward ratio. You must always remember—happy is the man who knows what to remember of past, what to enjoy in the present and what to plan for the future.